How To Destroy Angels is a musical project founded by Trent Reznor, Mariqueen Maandig and Atticus Ross, with Rob Sheridan later becoming a member in a mainly visual capacity. The band have an official site at howtodestroyangels.com. The project was announced in April 2010, when they released a series of teaser videos. 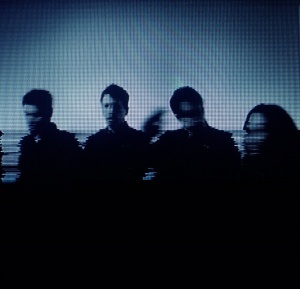 The band is named after How To Destroy Angels, a song, and first release, by Coil. The first single, "A Drowning" was released on May 4th 2010 via Pitchfork Media. There is currently a Q&A on their Facebook page. The band released its self-titled debut EP as a digital download on June 1, 2010 with a physical release the following month. The band announced via twitter on 30th November 2011 that they would be putting out a cover of Bryan Ferry's "Is Your Love Strong Enough?" on The Girl With The Dragon Tattoo Soundtrack. On February 26, 2011, Trent Reznor revealed that the first full-length album had been finished and would be released in early Fall 2011. He also revealed that the album would be free, with the options of higher-quality sound files for money and a physical release. On September 21st 2012, after several months of hinting, Trent Reznor finally announced that the band's second EP, An Omen EP, would be released on November 13th. Reznor also announced that the band was now signed with Columbia Records and would be releasing their full length album, Welcome Oblivion, in early 2013. The band was originally signed with The Null Corporation but in signing to a major label, the free album concept was no longer viable. The album was released on March 5th, 2013 and was followed by a short North American tour, featuring Alessandro Cortini as an additional member. The band's live debut was originally scheduled to be Coachella 2013, but an earlier date, in Pomona, California, was played. The live setup includes highly immersive visual effects to work with the music, manipulated live by Rob Sheridan from the stage. Songs from all three of the collective's releases have been played. Some material was also performed in guest appearances by Mariqueen Maandig with Nine Inch Nails during the NIN 2014 Japan Tour and the NIN + QOTSA Tour. The Girl With The Dragon Tattoo Soundtrack - performing "Is Your Love Strong Enough?" This page was last modified on 12 December 2018, at 22:40. This page has been accessed 157,209 times.